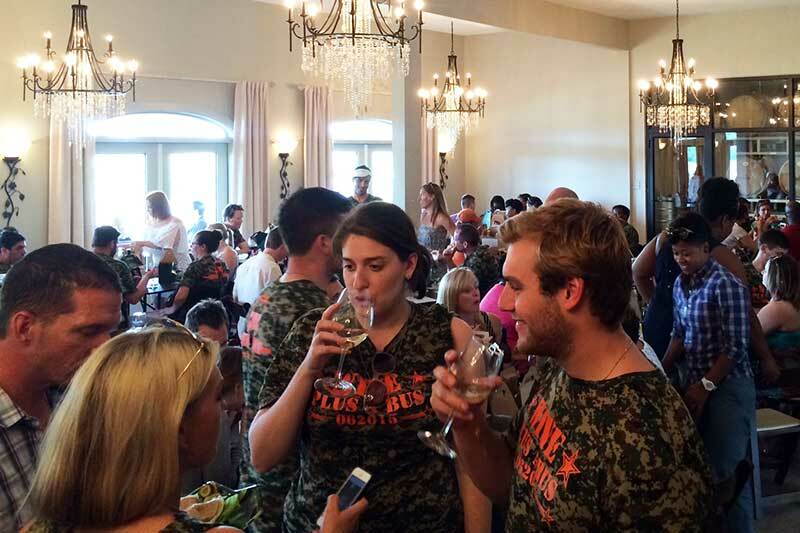 8 Chains North can usually accommodate large group wine tastings. We require advanced notice and reservations for eight or more people. Unscheduled groups may be turned away. 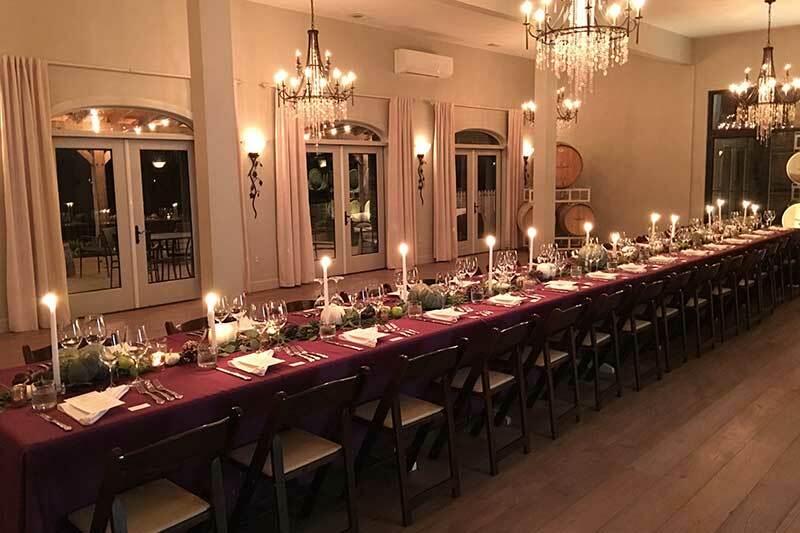 We also offer private space for your special event—rehearsal dinner, birthday or anniversary party, shower, reunion, holiday party, corporate lunch/picnic/team-building event, or fundraiser. We can accommodate up to 110 guests. Fill out the Group Reservation Form or call 571.439.2255 to make your reservation. Please review our policies so that we may provide your group with a wonderful tasting experience. We are a smaller winery with limited group seating. The Tasting Room and covered patio accommodate small parties of 2–6 people, and larger group seating is offered elsewhere on the patio, under the tent, at picnic tables, and in the event room, if available. Reserve tables (semi-private space) for $50 per table. “Meetups,” whether formal or informal, are considered groups, and must reserve private space or a table(s). Fill out the Private Event Information Request Form or call 571.439.2255 or contact our Events Manager, Elly Sullivan. Daytime rentals are generally either 11–2 pm or 3–6 pm. Evening rentals start at 6:00 pm or later. Business Meeting: Up to 80 guests in the Compass Rose Room for up to eight hours, Mon.-Fri.
Full Winery: Up to 110 guests, after business hours. Enjoy full access to the Compass Rose Room, Tasting Room, Patio and Lawn. The perfect solution for a larger guest list. How did you hear about 8 Chains North?